Room size: ~14.50 x 7.50m with a ceiling height of 3.50m, brick walls, wooden flooring upstairs, ca 7 x 5m with a ceiling height of 3.50m, brick walls and concrete floor downstairs. 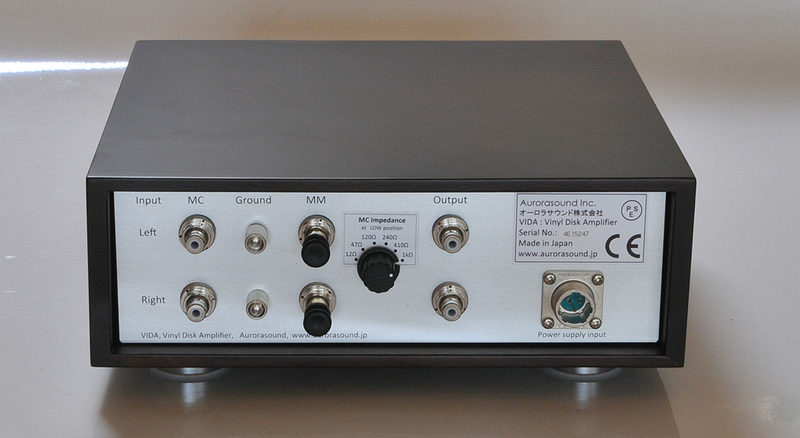 Our editor did a great job introducing Japanese audio company Aurorasound and owner Karaki-san in his review of the Aurorasound Preda preamplifier. That enables us to cut right to the chase. We received for degustation the solid-state Vida which is short for Vinyl Disk Amplifier, in our case from Western European distributor Musikae of France. Packed so as to embarrass even the most elaborate Russian Matryoshka doll maker, we had to work our way through a large amount of box-in-a-box boxes to get at the phono stage and its separate power supply. 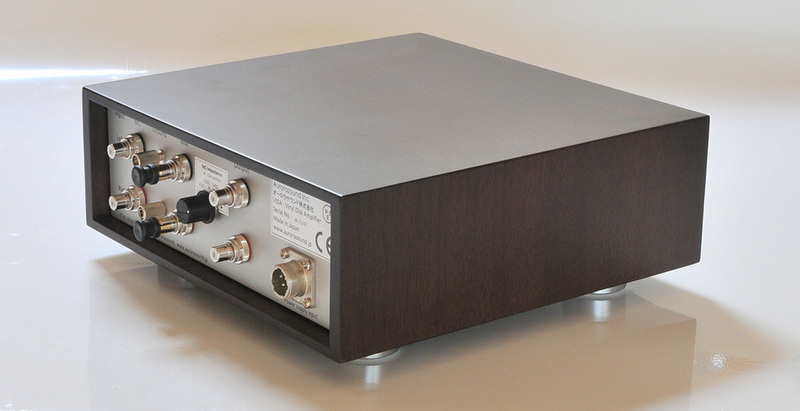 The amplifier is a 25 x 24.5 x 8.5cm (WxDxH) construction inside a beautiful dark wooden wrap. Its aluminium front sits in a little recess free from the slanted edge of the wrap. This enhances the visual airiness of the design which is breached somewhat by a large orange button though it coordinates perfectly with the blue Aurora logo at the other side of the front plate. Together with five tiny toggle switches, there’s a strong retro feeling to these looks.